Korey Stringer was a pro-bowl offensive tackle for the Minnesota Vikings who died from an exertional heat stroke during training camp in August of 2001. 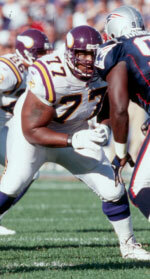 Korey, originally drafted in the first round (24th pick) of the 1995 NFL Draft, played six seasons for the Minnesota Vikings wearing the jersey number 77, now retired by the team. Korey played 93 regular season games and started all but 2. 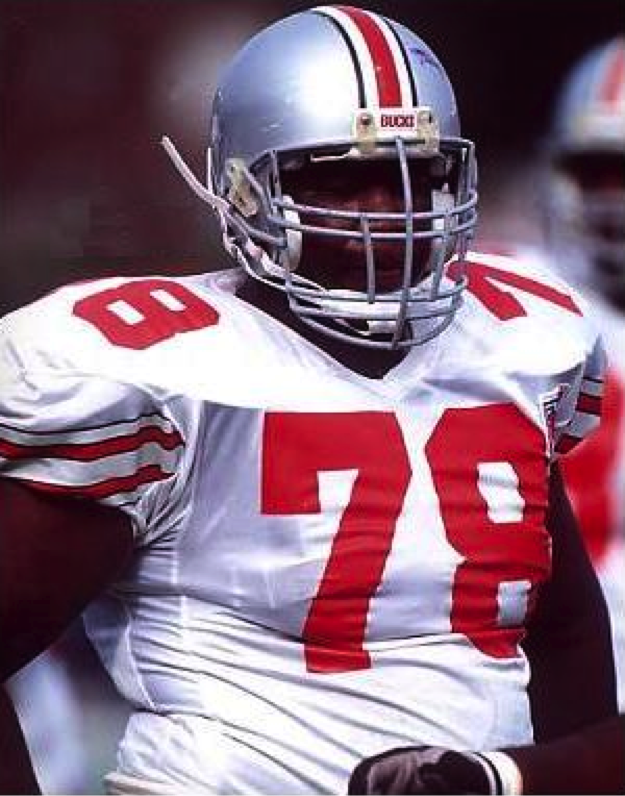 Originally from Warren, Ohio, Korey was born on May 8, 1974 and attended Warren G. Harding High School where he played for the Harding Raiders football team. Korey attended Ohio State University from 1992-1994 where he earned first-team All-American status in 1994 before being drafted by the Vikings in 1995. Following Korey’s death, his widow Kelci Stringer, his agent Jimmy Gould, and expert witness in his case Dr. Douglas Casa worked directly with the NFL to create a non-profit organization dedicated to preventing sudden death in sport which later became the Korey Stringer Institute in 2010. Through the Korey Stringer Institute, Korey’s legacy lives on and it’s development saves lives all across the country!